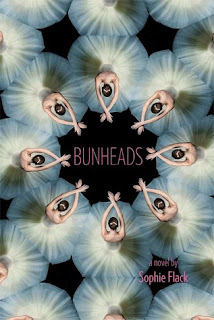 Before I even cracked the spine on Bunheads, I knew I would enjoy it. Why? Firstly, I have a ballerina past, in which I spent 7 years taking all sorts of dance classes (though I ultimately gave it up, which is still one of my biggest regrets). Secondly, one of my guilty pleasure movies is Center Stage, and I originally thought this would be a YA version of that (what YA book reviewer doesn’t love a book version of their favorite Saturday afternoon movie?). However, while there are a few similarities to that guilty pleasure, Bunheads is not cheesy in the slightest- it’s a beautifully written, sweet, hilarious, entertaining story of the life of a corps dancer at the Manhattan Ballet Company. It’s the tale of don’t-call-me-a-ballerina Hannah Ward, a self-proclaimed bunhead whose life gets knocked a little sideways when she meets handsome college student and musician Jacob Cohen. What I love the most about Bunheads is that it’s not about the star prima donna fighting to stay on top or even about an up-and-comer trying to push her way to the top: it’s about a member of the corps, the background line. This isn’t just her passion- it’s also her livelihood. Since Sophie Flack is a former corps dancer, she knows all the dirty little secrets, and she doesn’t gloss over any of them. Every painful injury, every back-stabbing moment, every insinuation regarding weight is included in perfect detail, just like reality. Ballet is a tough business, open to only an elite few for only a handful of years, and it’s not always as pretty as it seems. Hannah can barely make time to breathe, let alone see Jacob who longs to know her better. Her struggle to maintain what we would call a normal life while still staying on the top of her game is painful at times, fantastic at others, but it’s so very real. At its core, however, Bunheads is about a girl who simply loves to dance. Period. This is a love story for ballet. Hannah dances for no one but herself. Hannah exudes ballet, and she never feels quite like herself unless she’s on the stage. As a former ballet dancer, I knew a ton of the terminology and dance steps without having to research, but I found that it didn’t really matter if I didn’t have the knowledge. Listening to Hannah describe how she felt while doing the steps made each one come alive. I could close my eyes and be there in the audience, awed and amazed by every moment. Flack’s words practically draw a picture for you in your mind. It’s gorgeous. 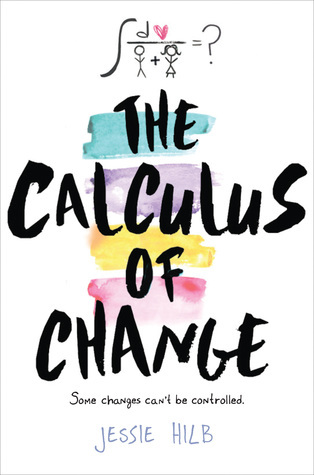 This is a wonderful debut by Sophie Flack, and I look forward to anything else she may write in the future. Seriously, anything. You just let me know, kay, Ms. Flack? Also, fun side story: I tweeted Sophie about how much I was enjoying this, and not only did she immediately write back her sincere thanks, her mother also retweeted me! I just love that. I just love Bunheads. I also liked the gritty backstage details in this one: the chemical taste of the artificial stage snow; the grunginess of a costume that had been worn for many years; etc.